On this fourth anniversary of beginning my Rabbit Lane blog of poetry, memoir, song, and craft, I have decided to post the very first poem I wrote, at about age 11, entitled “Mountain Song.” In the intervening 43 years, I have written over 450 poems, contained in a massive binder on my bookshelf. I look at that binder and think, “There, between the covers, is my soul.” Writing poetry is not an intellectual exercise for me. Certainly I use my best intellect to hone diction and line. But for me each poem must arise from a compelling image, emotion, or memory. Anything else is mere words on a page. My rough, juvenile poem below expresses my love of nature. I hope you enjoy it, and I hope you live looking for the hidden depths underpinning all we experience. I stand majestic and tall. I look over and take care of the valley. I stand above all other mountains. Roger is the author of Rabbit Lane: Memoir of a Country Road. The book tells the true life story of an obscure and magical farm road and its power to transform the human spirit. The book is available in print and for Kindle at Amazon. See Rabbit Lane reviewed in Words and Pictures. 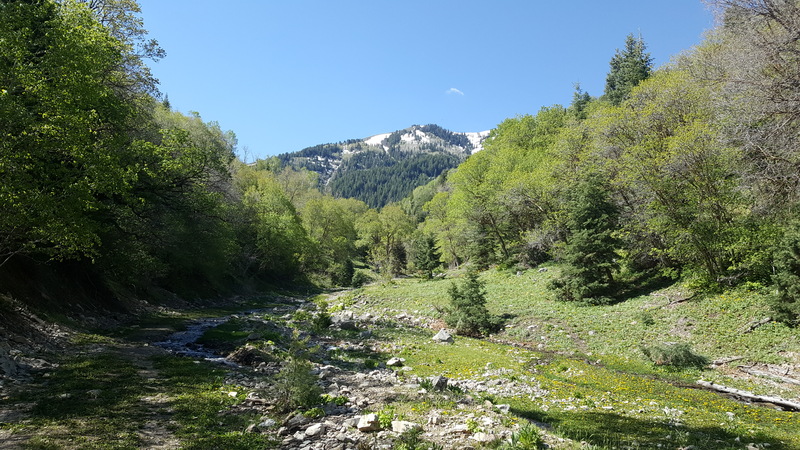 This entry was posted in Memoir, Nature, Poetry and tagged Forests, Mountains, Poem on August 9, 2018 by Roger Baker-Utah.